William Frederick "Billy" Gibbons born December 16, 1949 is an American musician, producer and actor, best known as the guitarist of the American rock band ZZ Top. He began his career in the Moving Sidewalks, who recorded Flash (1968) and opened four dates for the Jimi Hendrix Experience. Gibbons formed ZZ Top in late 1969 and released ZZ Top's First Album in 1971. The albums that followed, Rio Grande Mud (1972) and Tres Hombres (1973), along with extensive touring, solidified the group's reputation as a hard-rocking power trio. In the 1980s, ZZ Top released their three biggest-selling albums: Eliminator (1983), Afterburner (1985) and Recycler (1990). A wave of music videos for the hit singles "Legs", "Gimme All Your Lovin'", and "Sharp Dressed Man", among others, became mainstays on MTV. ZZ Top's unique blend of boogie and humorous, sometimes raunchy, lyrics, supported by Gibbons' blues-based prowess, continues to attract fans. 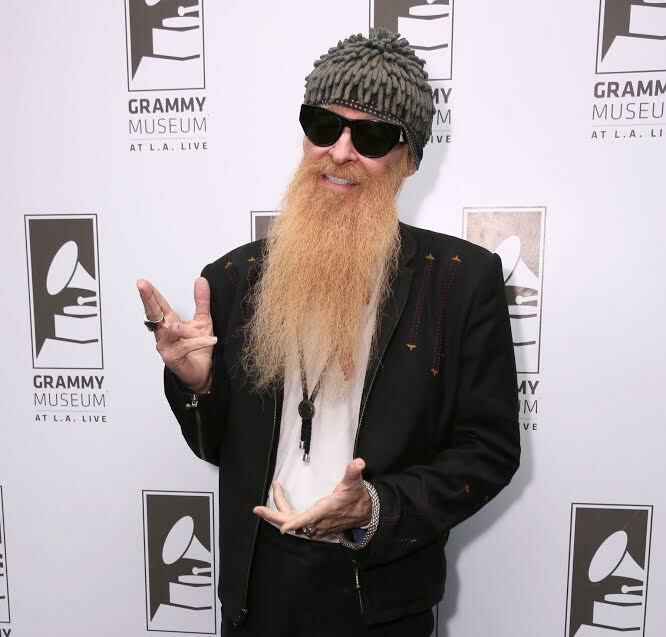 Billy Gibbons as member of ZZ Top was inducted into the Rock and Roll Hall of Fame in 2004. He was ranked at number 32 on the 2011 Rolling Stone list of the 100 Greatest Guitarists of All Time. In recent years, Gibbons has made appearances with other artists and acted on television shows, most notably Fox Television's Bones. In 2014 Billy appeared of the season premiere of the nationally televised Live From Daryl's house performing solo with Daryl Hall and his house band. Billy continues to perform live dates with his All Star Band and expects to release his first solo CD sometime in 2015.